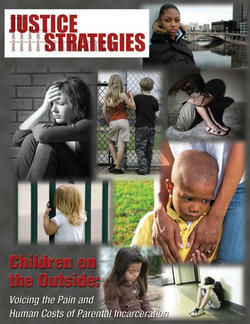 Prepared by Patricia Allard and Judith Greene, “Children on the Outside” urges a shift from failed "tough on crime" policies toward a public health and safety strategy that includes evidence-based treatment options and reducing reliance on incarceration. The report provides concrete steps to moderate the negative impact of parental incarceration on children and points to existing and promising approaches for cost-effective criminal justice policies that promote community health and safety. To illustrate this point the report compares New York, which has downsized prisons through drug reform, saved money, and seen larger decreases in crime with Alabama, a state with higher incarceration rates. In this article, released on Father's Day 2016, Patricia Allard, Senior Research and Policy Analyst with Justice Strategies, and Glenn E. Martin, founder and President of JustLeadership, argue that #BlackDadsMatter, and point to comprehensive policy solutions that can minimize the negative emotional, social and economic consequences of having a dad incarcerated. Ending mass incarceration for the millions currently in our jails and prisons is receiving more attention in policy circles than ever before. But, ending the intergenerational legacy of mass incarceration will require that we act now to address the problems and issues confronted by the five million plus children who currently live without their incarcerated parent.